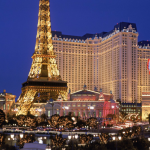 Las Vegas is, of course, one of the world's gambling capitals, but it's also famous as a destination for tourists who love to eat. In addition to a host of restaurants run by world-class chefs such as Gordon Ramsay, Mario Batali, and Tom Colicchio, there are also the buffets. Where else in the world can diners pay one price for access to all-you-can-eat crab legs, shrimp, foie gras, Kobe beef, sushi, and a vast array of side dishes? There are many fun places to eat in Las Vegas, but one fairly recent addition is decidedly different than the decadent buffets and swanky gourmet restaurants. It's Taco Bell. That's right -- the chain you know and love for its inexpensive Tex-Mex fare, its late-night hours and its many nationwide locations landed in Las Vegas last fall. But this is no ordinary shopping-center or just-off-the-expressway Taco Bell. It's a Taco Bell Cantina. Believe it or not, this is the very first Taco Bell on the Las Vegas Strip. The company is also billing it as the first "flagship location" of the fast-food joint. As such, it looks a bit different than your hometown restaurant. For starters, it's two stories. Upstairs includes a mezzanine where patrons can indulge in people-watching by looking down upon Las Vegas Boulevard, or watch the action in the first-floor kitchen. There's an outdoor patio with both heaters and misters, keeping you comfortable no matter what the temperature. The Cantina also boasts a sleek, modern look -- more like a trendy bistro or microbrewery than the typical fast food restaurant with its molded plastic booths and bright colors. It also features original artwork, as well as 16 giant television screens to keep you entertained as you munch on your gordita. If you can't conceive of consuming a Doritos Locos taco without being able to wash it down with a cerveza, this is the Taco Bell for you. You can also indulge in a Twisted Freeze -- a sort of boozy slushy drink that's sourced directly from taps in the wall. Flavors include the exotic Margarita, Pina Colada, Baja Blast, Blue Raspberry, and a few other run-of-the-mill tastes like cola, lemonade, and orange. Customize any of these with your choice of liquor. And yes, you can even get these alcoholic drinks to go, so you can wander the strip with a drink in your hand -- even if it's in a lidded plastic cup with a straw. Not many of the other fun places to eat in Las Vegas offer that bonus. Tapas and small-plate dining have been all the rage for a couple of years now, and Taco Bell Cantina's Las Vegas location has decided to get in on the action with a selection of shareable apps. Here, diners can order a basket of mini quesadillas, a platter of home-style nachos, chicken tenders, or several other appetizers for the table to share. The menu doesn't go too far afield, however; the old classics like chalupas, burritos, soft and crunchy tacos, and Crunchwrap Supremes are still available. 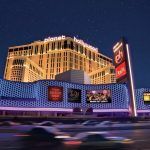 The new Taco Bell Cantina, which is located on Harmon Corner near Planet Hollywood, has added DJs to its roster of employees. 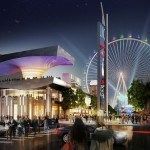 So when gamblers get tired of the incessant bells and whistles of the slot machines, they can come here for a refreshing dose of techno or dubstep. No word on whether or not the DJs take requests. And if that weren't "nightclubby" enough, the Cantina also has VIP lounges. It's unclear what one has to do to earn the title of Taco Bell VIP, but probably being a high roller or a Kardashian would do the trick. Or maybe just buying a round of rum-spiked Baja Blast Freezes for the house. In the rest of the country, the only way to get a Taco Bell shirt is to actually work there. At the Las Vegas location, however, all of your taco-related merchandise dreams can come true. What can you buy at the gift shop? 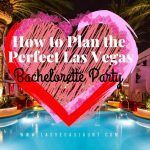 Shot glasses, key chains, cell phone covers, baseball caps, beach towels, swimsuits, and of course exclusive Las Vegas t-shirts in a variety of styles. How many fun places to eat in Las Vegas offer digital menus, iPads for ordering, and a screen where you can track how long before your order is ready? Well, probably a number of them. But these techy advances are certainly not par for the course at your average Taco Bell in, say, Boise or Des Moines. They call New York "the city that never sleeps," but Las Vegas certainly could vie for that nickname, too. Lots of fun places to eat in Las Vegas are open late or all night. And the flagship Taco Bell follows suit, with 24/7 hours. No matter when in the wee hours you stumble, bleary-eyed, from the casinos -- or how late you emerge from your hotel room into the midday Nevada sun -- there's an oasis of refreshment waiting for you if you just "make a run for the border." 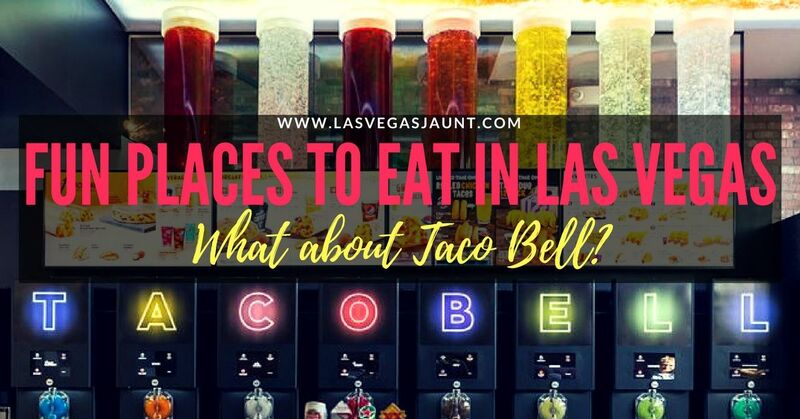 Of All the Fun Place to Eat in Las Vegas, Why Choose Taco Bell? We know many of you might still be scratching your heads. Sure, the Cantina concept sounds like fun -- if you're back home in Akron or Shreveport, that is. But with so many other amazing, gourmet destinations or AYCE buffets to choose from in Las Vegas, why would you bother going to a fast-food restaurant you could visit anytime? Taco Bell is banking on the appeal of its Cantina brand to die-hard tacoheads, who may stop in just for the experience, the merch, or the Instagram-ready decor. 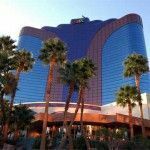 Another undeniable benefit is that it's relatively inexpensive to grab a couple of bean burritos rather than plunking down $50 or more for a buffet -- freeing up more cash for the blackjack table. 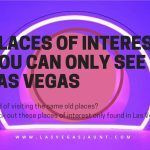 After all, it can be tough to visit Las Vegas on a budget. What do you think? Do you think Taco Bell would be one of the most fun places to eat in Las Vegas? Let us know in the comments! Photo Credit: Taco Bell Corp.